Proctor Rd sidewalks and traffic safety around Proctor Elementary School were once again on the agenda at the MAC board meeting on Monday, October 19. This was a follow-up to the meeting on March 16, where the MAC board asked Public Works to take action on several items. 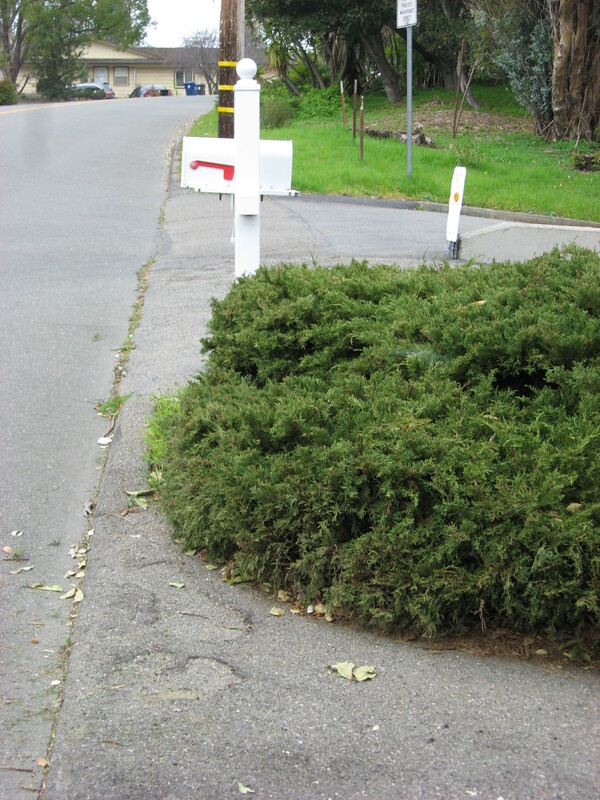 While the Sheriff’s department has made quite a bit of progress in convincing cars to park in the street instead of illegally on the unimproved sidewalks, PWA has only sent out one round of notices concerning illegal encroachments by shrubs and front yards on the public right of way. There are still many stretches along Proctor Rd. where 4 feet of cleared, unobstructed, walkable sidewalk next to the curb does not exist. According to PWA, second notices will go out in November. No explanation has been given why this takes so long. 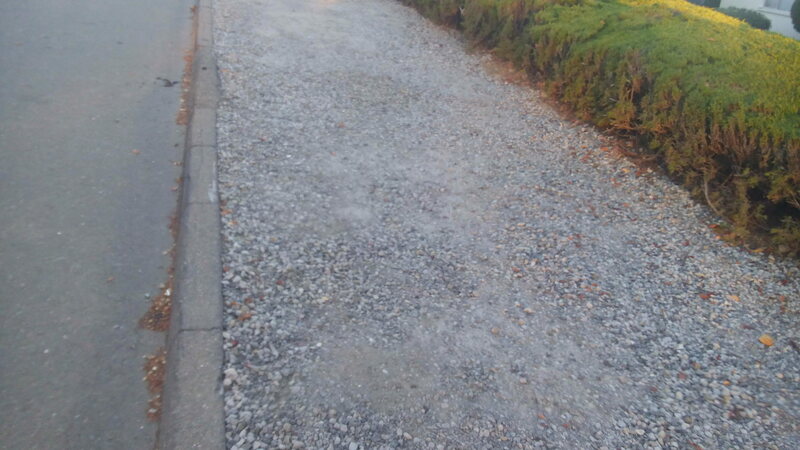 A few residents have cleared their overgrowth and then some, putting down hard-packed, level gravel and dirt, resulting in a great walking surface. This is not as good as asphalt or concrete, but it allows most people to walk in the safety zone of a sidewalk, especially kids walking to school. 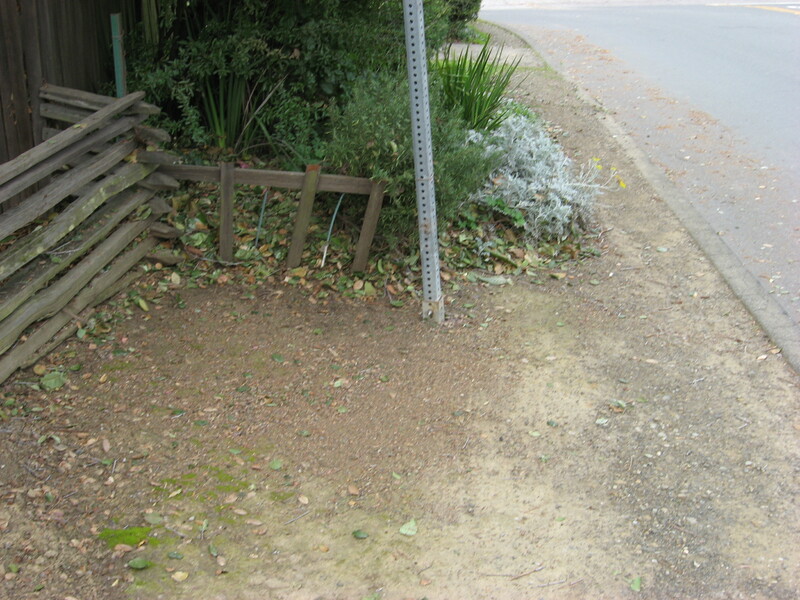 The MAC board asked PWA if they would include a request for hard-packed dirt and gravel surfaces each time they ask a resident to remedy their encroachment, until asphalt or concrete sidewalks become possible. 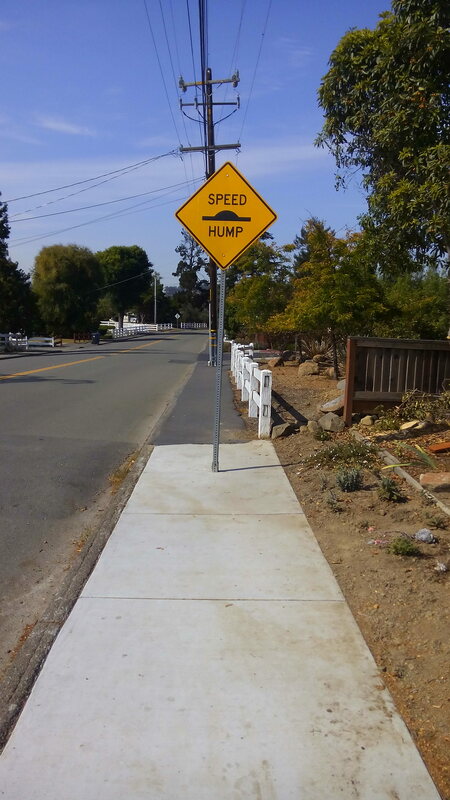 Another issue coming up at the meeting were traffic signs installed in the middle of the public right of way, in such a way that it is impossible for strollers, parents with kids, or elderly people to walk by. The MAC board asked PWA if these could be moved so there is at least 4 feet between traffic sign and curb, and we hope PWA will follow through with it. PWA also reported on the situation along Redwood Rd. in front of the Proctor Elementary School. Flashing beacons were put in, No U-Turn signs were installed at the intersection with Proctor Road, and bulb-outs should be installed next summer. 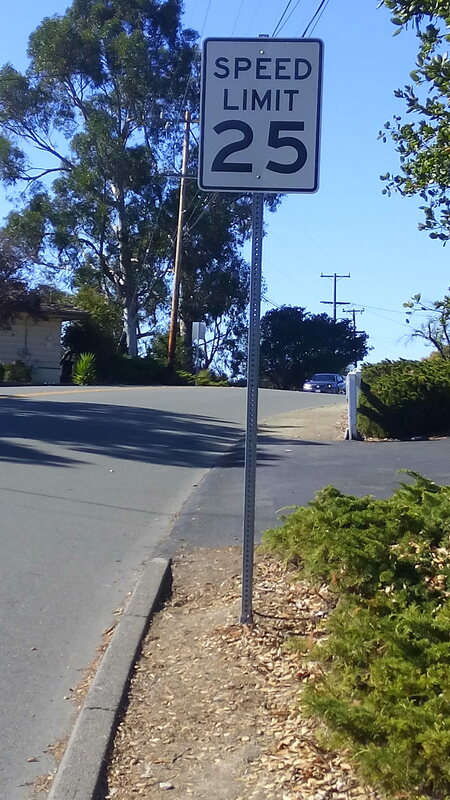 The MAC board asked PWA to investigate the possibility of adding No U-turn signs in front of the crosswalk in both directions, and of installing dynamic speed display signs for cars driving up Redwood Road from the golf course. PWA was asked to return to the MAC in 4 months to report again on its progress. We thank PWA, the Sheriff’s office and CHP for all the improvements that have happened and we look forward to PWA implementing all of the MAC board resolutions from March and this current meeting. We also requested that the MAC and these same agencies pay as much attention to safety and accessibility for all the schools in Castro Valley. The MAC will look into creating a subcommittee in conjunction with Supervisor Miley’s office to do just that.